The attractive location of our restaurant in the middle of Bad Bevensen and our club room are ideal for your event here at Hotel Ilmenautal. We have already hosted many beautiful celebrations in the region. Our experienced staff would be happy to help you with the planning. Please feel free to request our menu suggestions via our contact form. 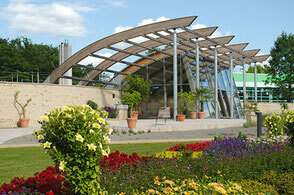 As a guest at Hotel Ilmenautal you can enjoy all the benefits of Therme Plus. In addition to visiting the thermal baths, you can also enjoy massages in our light and airy in-house massage parlour. In our in-house massage parlour, masseur Jan Martens offers a wide range of treatments - from relaxing full body massages and fango pack treatments to spinal treatments. Please book your desired treatment in advance so that we can schedule the treatments for you accordingly. Our staff will advise you on your choice. What is Therme Plus? We are happy to explain all the details here. 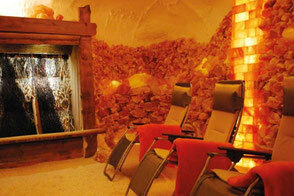 Revitalising and relaxing - after a visit to the salt grotto you will feel like you have spent a day at the sea.